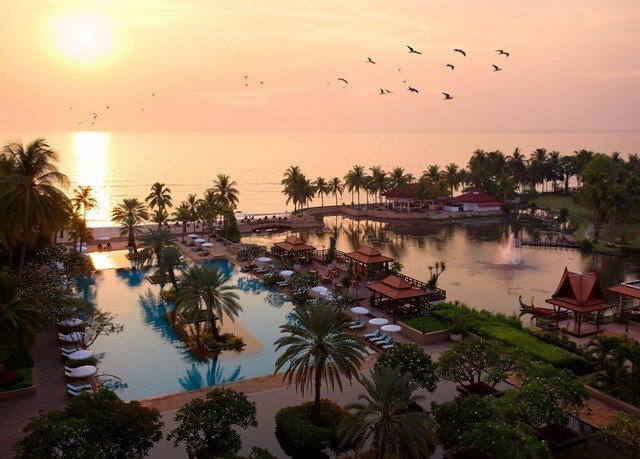 Playground of Thai royals, Hua Hin has everything you’d want in a tropical paradise. Combining fabulous beaches, a vibrant town and plenty of cultural treasures, this destination ticks all the boxes. 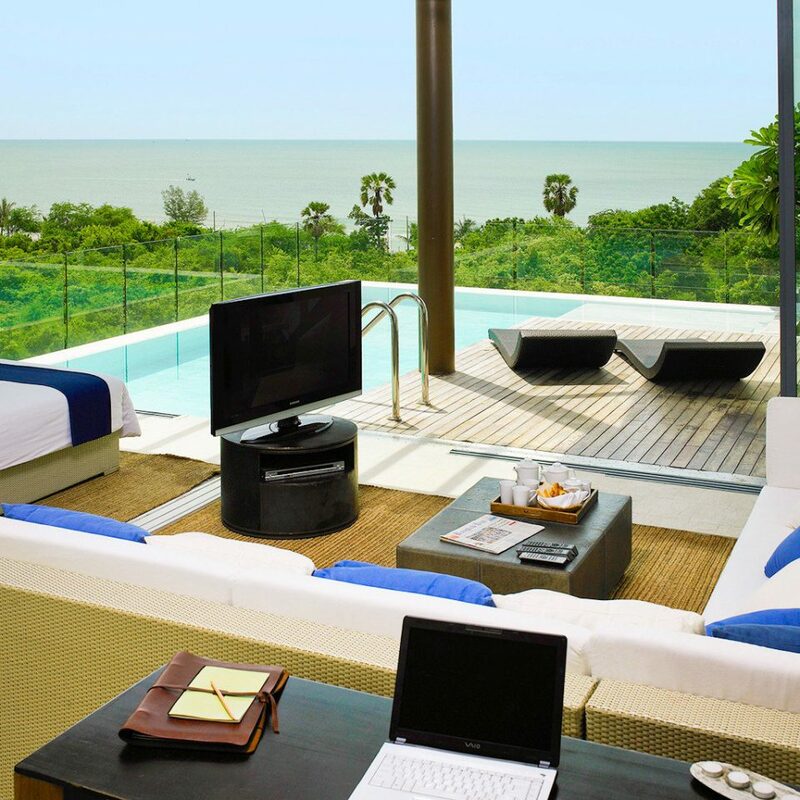 Staying at Dusit Thani Hua Hin, you’ll get to enjoy all this tranquil getaway has to offer from the comfort of a five-star resort. 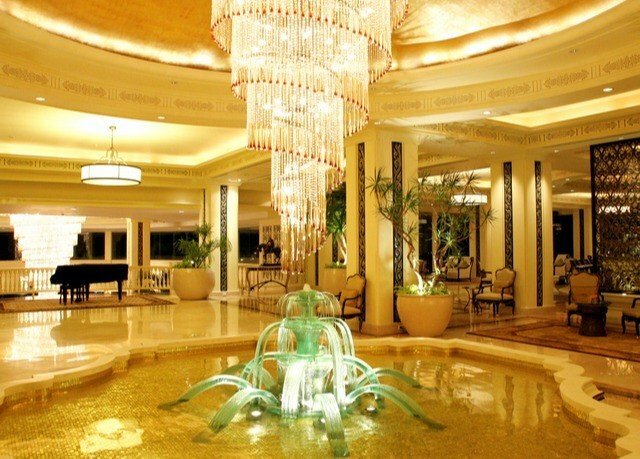 And, don’t just take our word for it – this luxe retreat was named top Luxury Diplomatic Hotel by World Luxury Hotel Awards and received a Traveler’s Choice Award and a Certificate of Excellence from TripAdvisor. 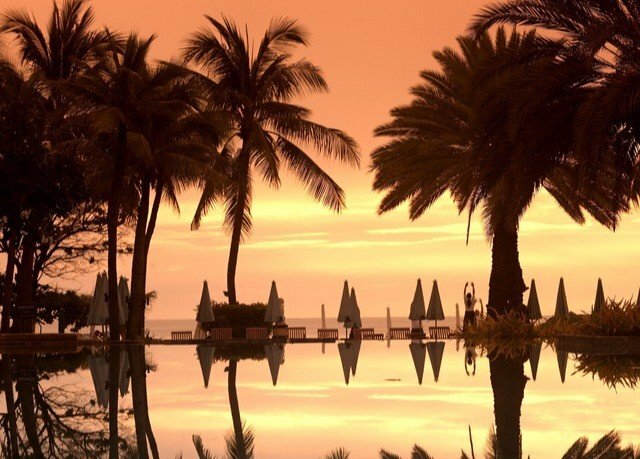 You can spend your time strolling the spacious grounds and making use of the exceptional range of facilities, from tennis and squash courts to watersports venues right on the resort’s private stretch of beach. 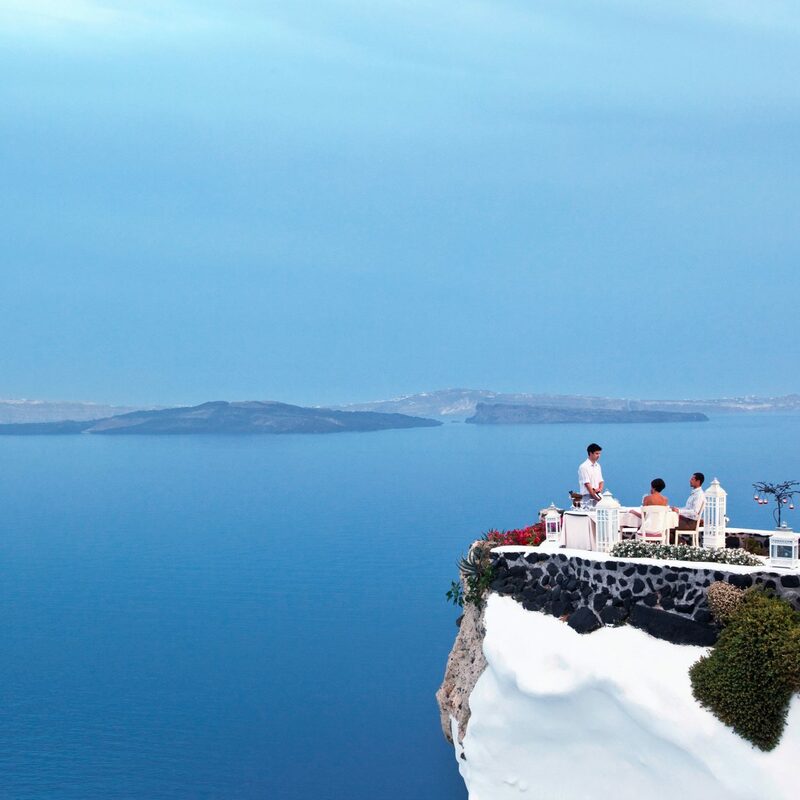 A wide selection of restaurants will please every palate, and an excellent spa will help you reach nirvana. If that’s not enough for you, golfers can head to the nearby Palm Hills Golf Resort for a round or two, while culture aficionados can explore the temples and heritage buildings in the neighboring town. 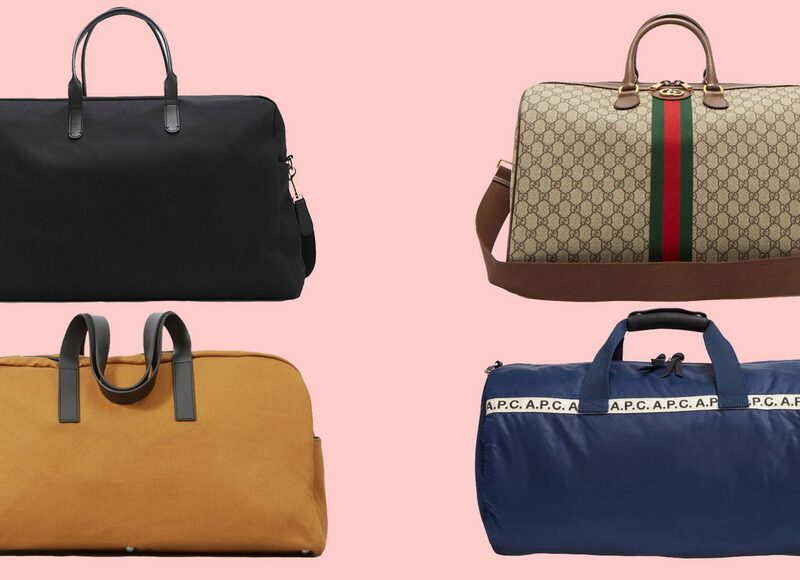 Of course, all this and more can be arranged for you by the hotel staff – after all, you’re on vacation. 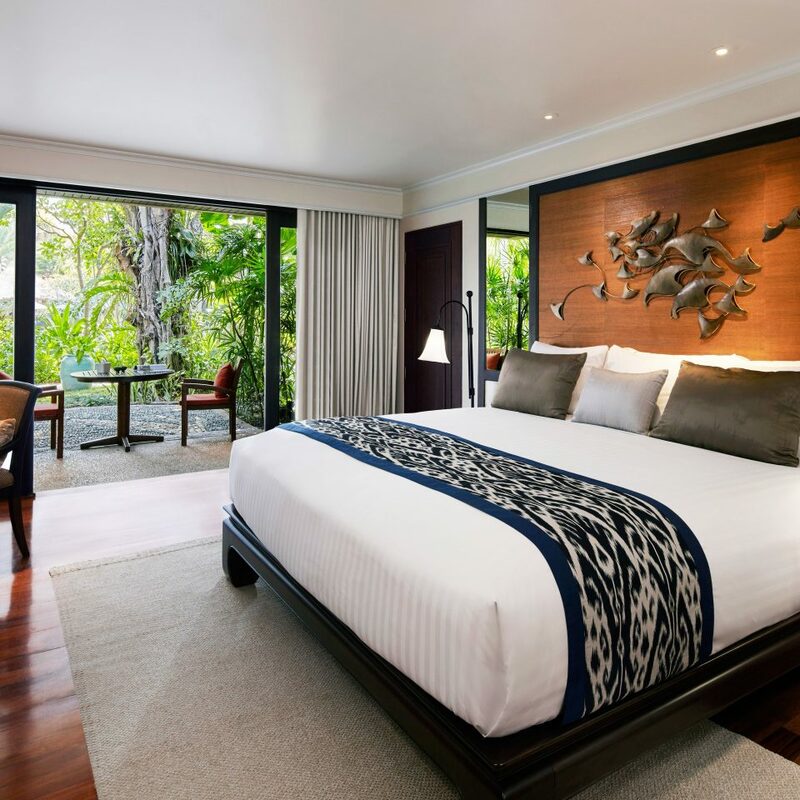 Resplendent in warm wood and elegant furnishings, the 385-square-foot Superior rooms are spacious, bright and comfortable. 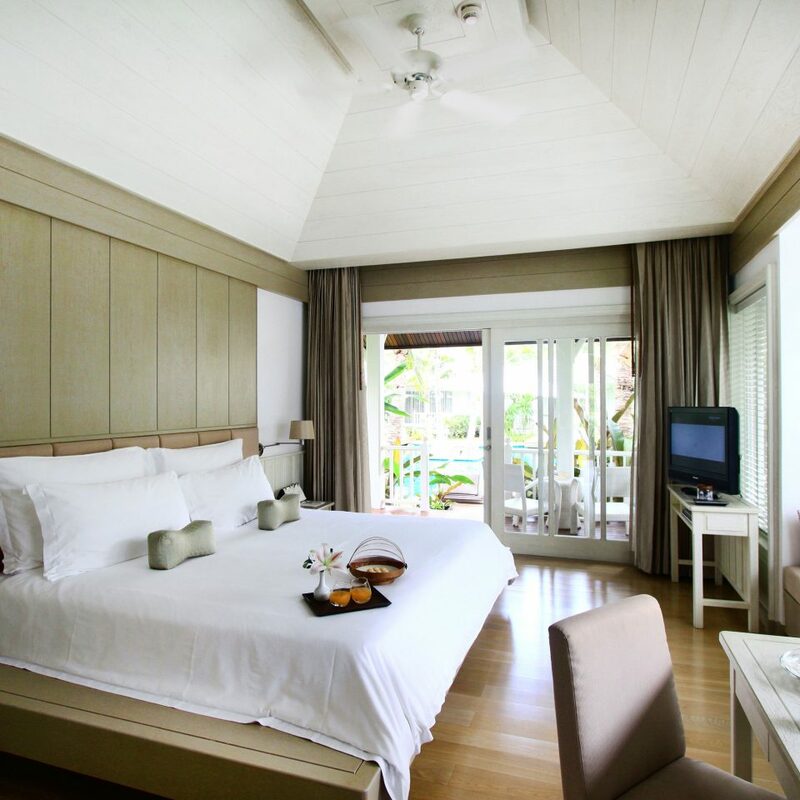 Each room features a balcony that offers views of the garden, pool or sea. 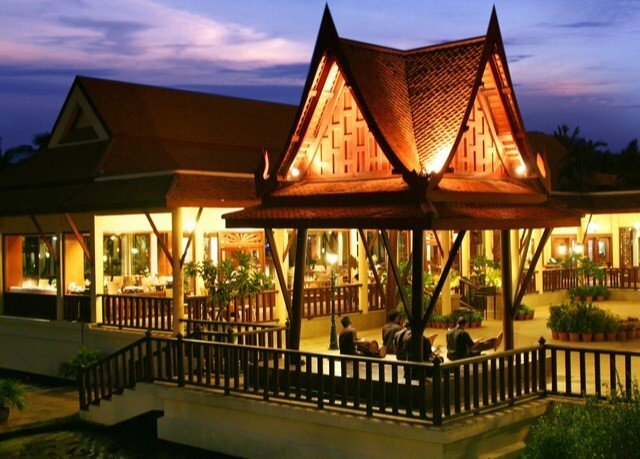 The resort offers an impressive variety of eateries for you to choose from. 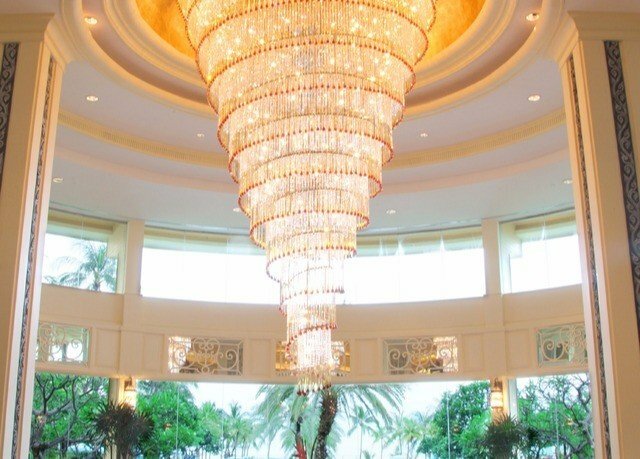 The most regal of them all, The Restaurant, is all pomp and grandeur, with a multi-tiered chandelier presiding over the center of the room. Here, you can enjoy all-day dining, as well as theme nights, such as the carvery buffet on Mondays and the seafood-barbecue buffet on Saturdays. Elsewhere, San Marco invites you to dine on Italian specialties on the al-fresco terrace. 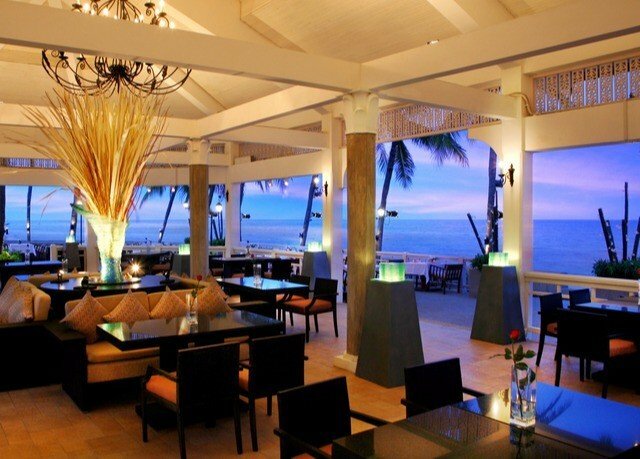 You’ll also find Thai cuisine at Ban Benjarong and seaside dining at Rim Talay Bar and Grill. 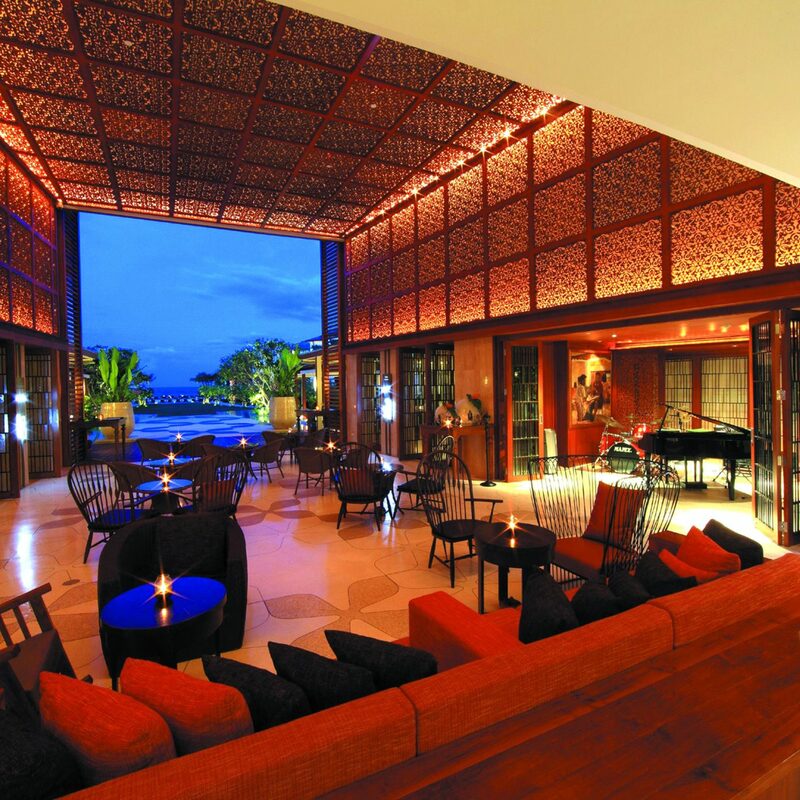 Light bites and drinks can be enjoyed at Sala Thip Poolside Terrace, Polo Bar and Lobby Lounge and Bar. The lavish Dervarana Spa is ready to pamper you with a wide range of massages and beauty treatments. 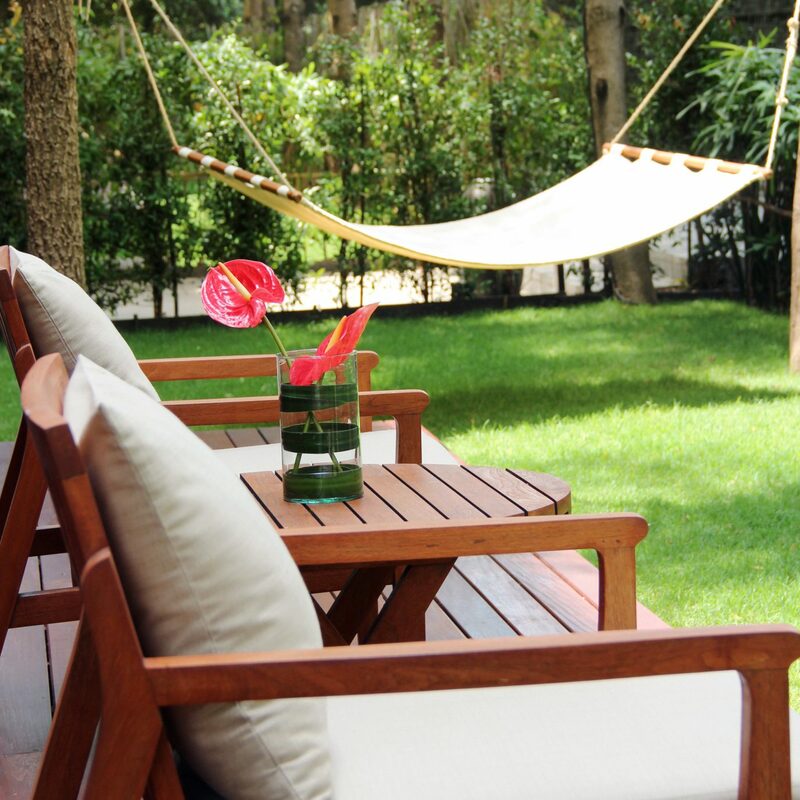 You can also make use of a fully equipped fitness center, tennis, squash and badminton courts, a watersports center and two outdoor swimming pools and Jacuzzis. 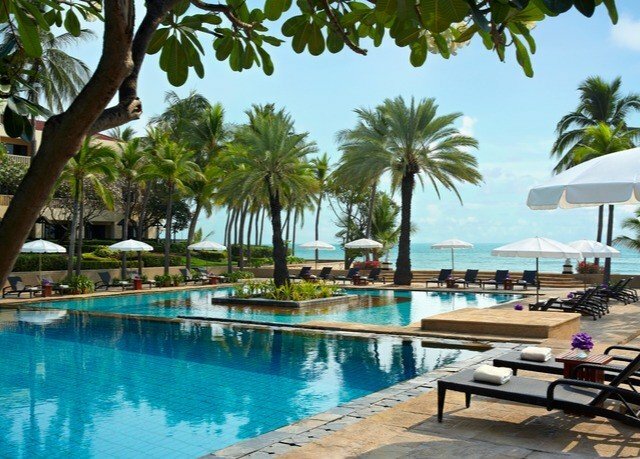 Dusit Thani is located on a private stretch of beach, offering beautiful views of the sea. When you’re ready to explore the surrounding area, you can head inland and find plenty of things to see and do. 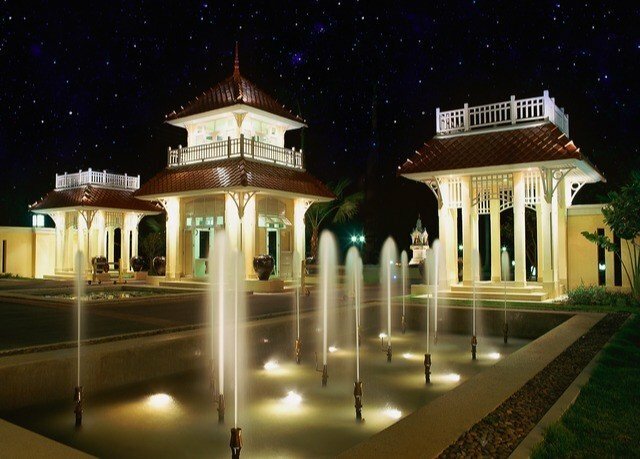 Experience traditional Thai markets, like the Sam Phan Nam Floating Market and Hua Hin Night Market, or learn more about Thai royal heritage at Mrigadayavan Palace. 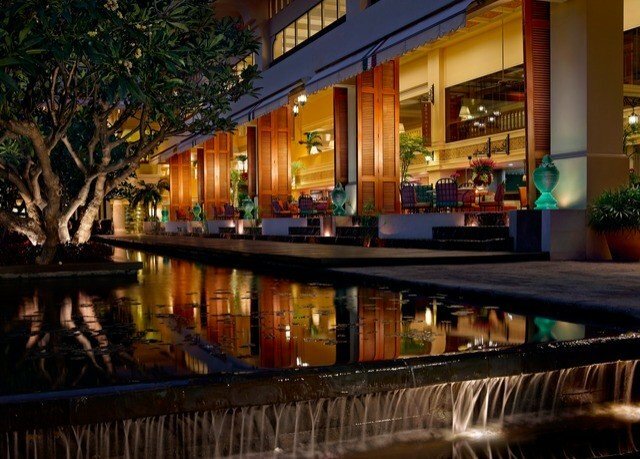 We spent two weeks with our daughter and grandson at the Dusit Thani in Hua Hin and were so pleased to have timed our visit to coincide celebrating Songkran (Thai New Year) with the charming people of Thailand. Great fun for all. 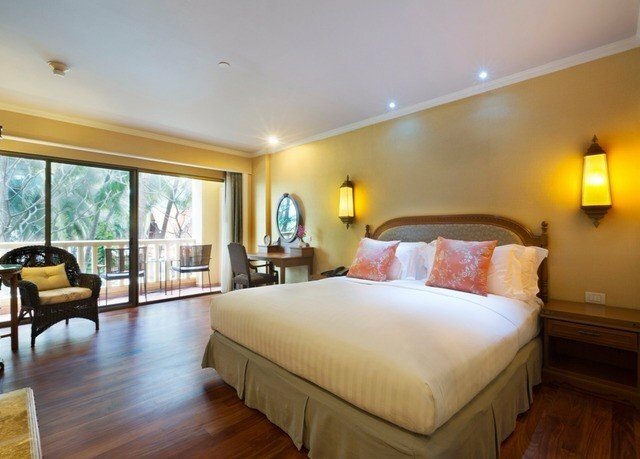 We have returned to the Dusit Thani in Hua Hin many times since the early 1990’s when we were living as a family in Bangkok and look forward to spending many more holidays at the Dusit Thani. 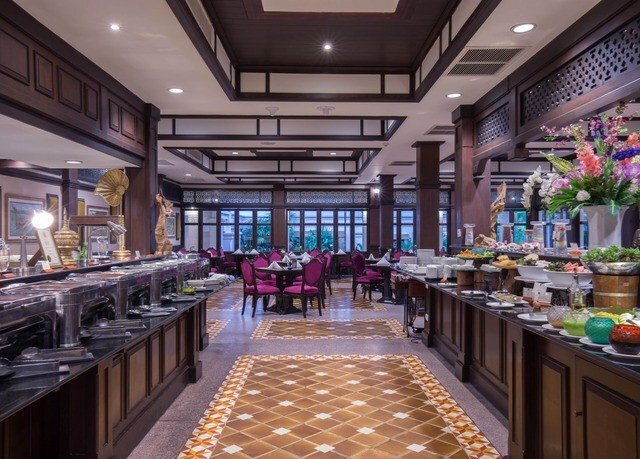 My self and my family have stayed at the Dusit Thani Hua Hin on an number of occasions since 1991 and we keep going back. We have just returned to the UK after a 2 week stay and once again we were delighted with the quality of the facilities, the service and the high standard of the catering. The swimming pool is very big and is always well kept as is the accommodation and extensive grounds in general. 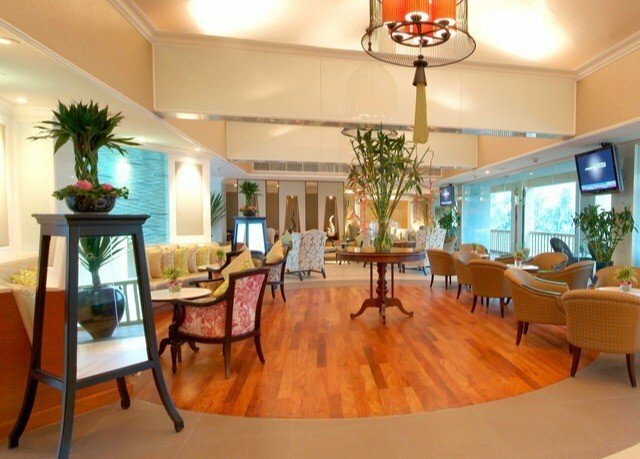 The wines offered by the Club lounge are of good quality as are the snacks. providing the highest quality service. We will return again and again. Fantastic location, excellent facilities and superb staff. Daily activities organised. Good quality gymnasium with staff onsite. Excellent restaurants. Great pools and always enough sunbeds. 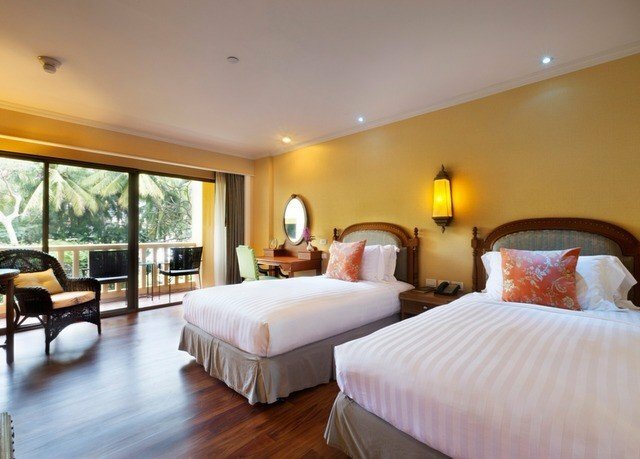 Suitable for both families with children of all ages and couples.